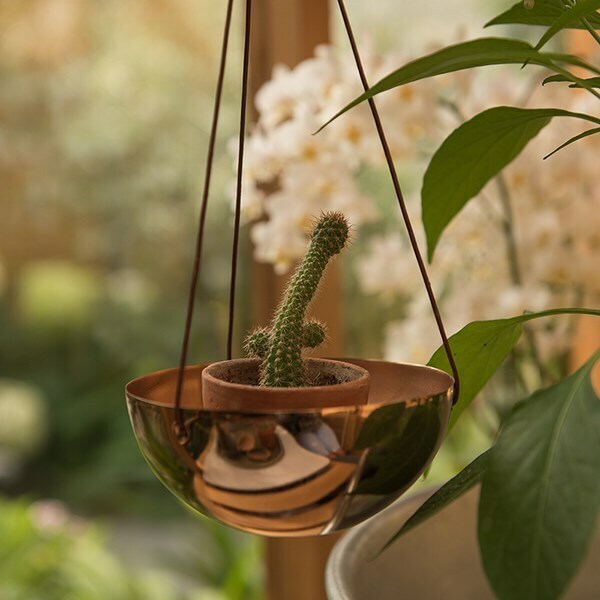 A contemporary twist on a classic style, these spun metal hanging bowls turn a simple pot plant into an elegant feature. Suspend them from ceilings or in front of windows and they will gently sway, bringing colour, movement and life into the room. 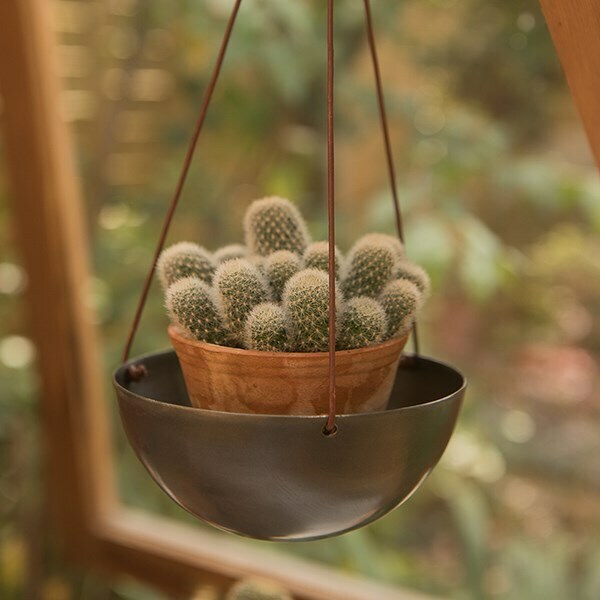 Their solid bowl design means they also act as hanging reservoirs, eliminating water wastage and helping your plants stay well hydrated. 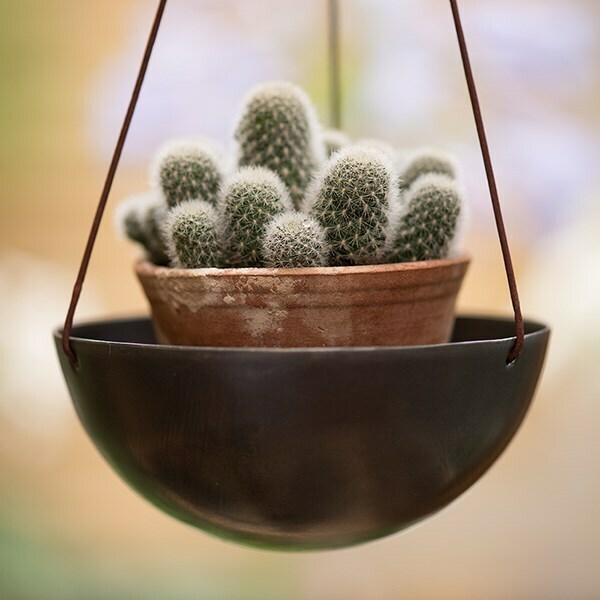 Made from steel which has been hand-spun into a hemispherical bowl, each has its own one-off marks and variations to give it unique character. Includes a brown leather hanging cord with a strong double loop. 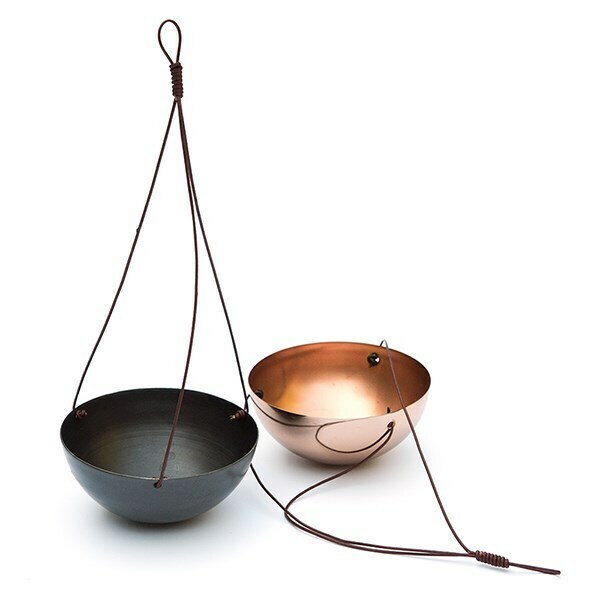 Available in a choice of two metallic finishes - copper and zinc (sold separately).